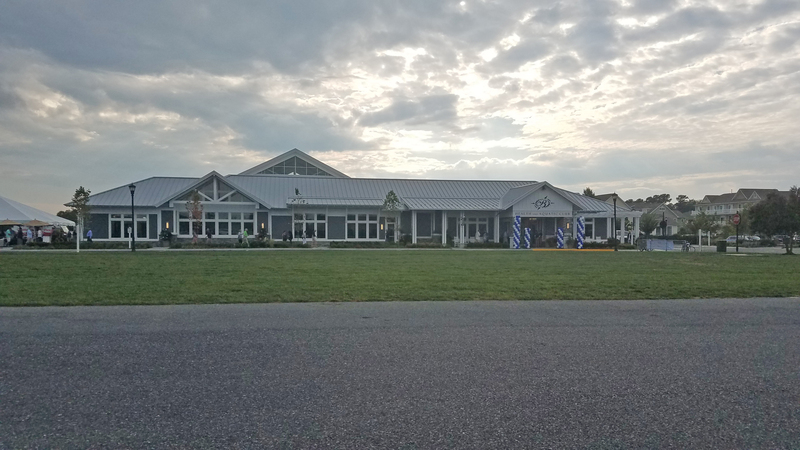 GMB designed a new 14,000 square foot state-of-the-art fire station to replace the aged and under-sized existing fire hall that had served this historic Eastern Shore of Maryland town for more than 50 years. The new facility has been relocated to a new, accessible site on a major thoroughfare which drastically shortens response time to firefighters and emergency responders. The completed facility houses a six bay apparatus room, a leasable banquet hall with kitchen, office, recreation & storage spaces, and toilet facilities. The construction systems include concrete slab-on-grade, pre-engineered metal building superstructure, decorative masonry, mechanical, electrical, and plumbing systems. The full glass overhead doors serving the apparatus doors offer day-lighting and street visibility for publicly displaying the department’s firefighting equipment. The banquet hall is demarked by a porte cochere for public identification of its entry and for weather protection. 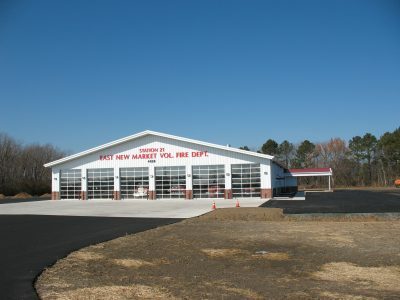 Situated along the gateway road into town, the new facility for East New Market has become a social and municipal center, and a symbol for civic pride for the town and the surrounding area.